We’re deep in the hot days of summer, and there’s no better way to cool off than by jumping into the ocean and going on a journey in a colorful submersible. Granted, you won’t feel a refreshing splash of water if you’re in a submersible, but we needed a way to introduce the fact that Yellow Submarine is now streaming on Amazon Prime and didn’t have any other ideas. Prime is the exclusive streaming home for the classic Beatles cartoon, and it’s hitting the service as part of the film’s 50th anniversary celebration. If a ‘60s drug trip isn’t your bag, man, Prime is also getting some none-Beatles-related content in August. 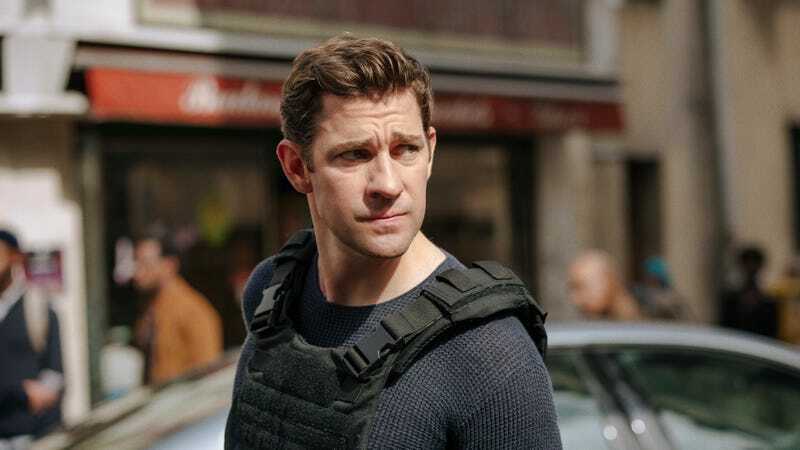 Subscribers will be able to stream the three-episode miniseries Agatha Christie, soccer show All Or Nothing: Manchester City, a new half-season of The Stinky And Dirty Show, the Prime original movie Gringo (starring David Oyelowo and Charlize Theron), and John Krasinski’s Tom Clancy’s Jack Ryan. If Amazon originals and exclusives aren’t your bag, man, Prime subscribers will also be able to stream Mother!, Lifetime’s True Tori docuseries, something called Billy The Exterminator, Spy Kids 2: Island Of Lost Dreams, Freedom Writers, The Blair Witch Project, and Watchmen. The full list of what’s coming to Prime in August is below. God is a gaslighting husband in Darren Aronofsky’s brilliantly deranged Mother!